The award-winning Comfort Inn Apple Valley prides itself on making their guest feel at home in a comfortable and hospitable home away from home environment. 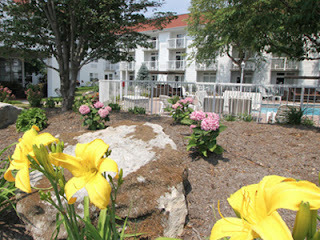 The Inn is located on the Parkway but the layout of the hotel and the pool and sitting areas make it feel like you are miles away. In back of the hotel an apple orchard covers the hill and the Apple Barn and Apple Farmhouse Restaurant are a short walk along a gently flowing stream. All rooms at the Comfort Inn Apple Valley are suite-sized with a sitting area with either a couch or two chairs. Every room has either a balcony or patio and amenities including a refrigerator and coffee maker. The hotel features an indoor heated pool and seasonal outdoor pool and spiced apple cider in the lobby. Comfortable furniture invites you to sit and relax inside, or go outside to the conversation pit where you can enjoy a good discussion of the day's activities, or watch TV. Many guests will take a break from swimming and eat their lunch in the sitting area. 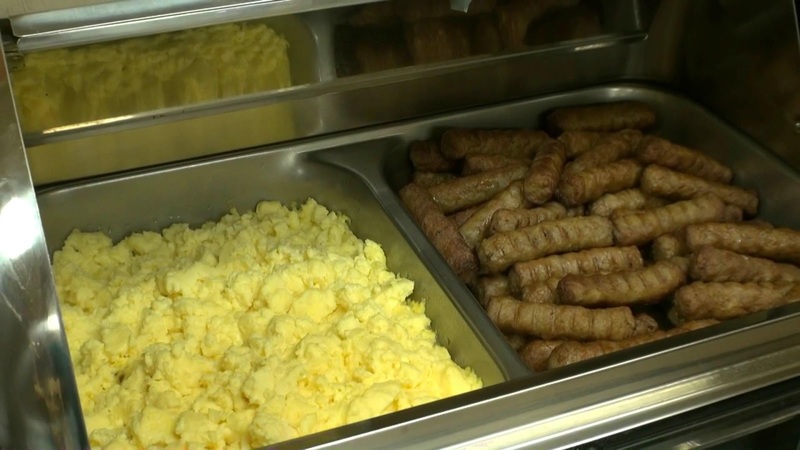 The Inn serves up a full hot breakfast with eggs, waffles, biscuits and gravy, sausage and bacon, pastries, fresh fruit, bagels, juices, cereals. It makes getting out of bed on your vacation, worth it. Tanger Outlet Mall is just down the street as are many restaurants and attractions. Entertainment and amusements are also close by with WonderWorks, the Hatfield & McCoy Dinner Feud, The Titanic Museum, Darren Romeo's Magic Beyond Belief, Country Tonite and The Smoky Mountain Opry nearby. There is a Trolley Stop right at the Inn to make it convenient for you to reach the nearby shopping, amusements, attractions and live music venues. 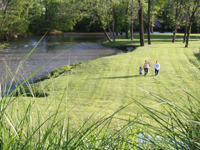 There is so much to do and see in the Smokies but the Comfort Inn Apple Valley makes your lodging decision an easy one if you want comfort, convenience and southern hospitality. And for more Smoky Mountain information download the BRG App and get deals, coupons, maps, Points of Interest and more. 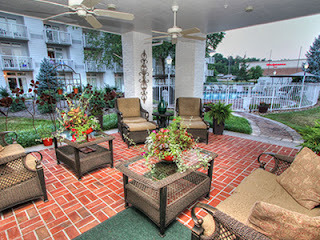 And for attraction, lodging, dining, shopping and entertainment options, visit http://bestreadguidesmokymountains.com/ .